Biotechnology is a diverse, complex, and rapidly evolving field. Students and experienced researchers alike face the challenges of staying on top of developments in their field of specialty and maintaining a broader overview of the field as a whole. 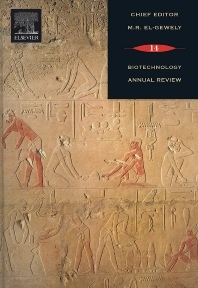 This latest volume of Biotechnology Annual Review comprises expert reviews on a diverse range of topics, ranging from gene expression microarray analysis to the use of ethnomedicines and ethnomedicinal phytophores to treat herpes viruses. Such a diverse range of review topics will keep biotechnologists of all levels up-to-date on the latest in the vast field of biotechnology and deepen their understanding of the many facets of the field as a whole.